HUDCO Tax Free Bonds 2016 Public Issues -Should you Buy? 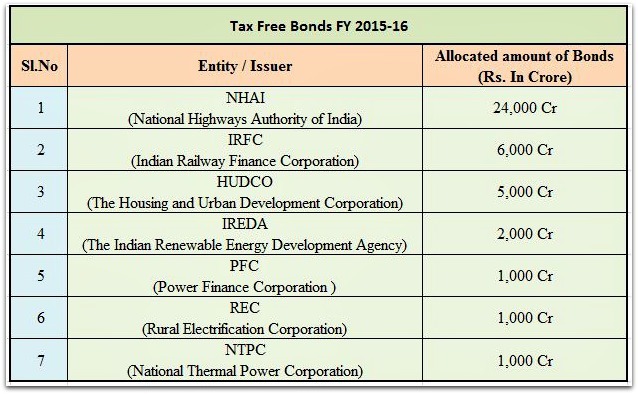 For the last few months, state-run companies like IREDA (Indian Renewable Energy Development Agency), NHAI (National Highways Authority of India), NTPC (National Thermal Power Corp), PFC (Power Finance Corporation), REC (Rural Electrification Corp) and IRFC (Indian Railways Finance Corp) have come up with Tax Free Bond issues. All these issues have been oversubscribed. HUDCO Tax Free Bonds is the latest issue which is going to be open for subscription from 27th January, 2016 to 10th Feb 2016. Below are the details of the firms and the maximum allocated amount of funds they can raise by offering new Tax Free Bonds in the current Financial Year (2016). Housing & Urban Development Corporation (HUDCO) is a Mini-Ratna company and it is a Government of India undertaking. It is classified as a Public Financial Institution u/s 4 A of the Companies Act, 1956 and as per Section 2(72) of the Companies Act, 2013. It was established on April 25, 1970 as a wholly owned government company with the objective to provide long term finance and undertake housing and urban infrastructure development programmes. Bonds Issue opens on : 2nd March, 2016. Issue closes on : 10th March, 2016. Issue size including over-subscription: Rs 1,788.50 crore (max). Basis of Allotment : For Retail Individual Investor – 40% of the Issue Size. HUDCO Tax-Free Bonds will be issued either in Physical or Demat mode. Bonds can be held in physical or in dematerialized form, at the option of bondholders but the trading of the Bonds shall be in dematerialized form only. 20 year duration bonds are not being offered in this issue. Bonds Issue opens on : 27th Jan, 2016. Issue closes on : 10th February, 2016. Issue size including over-subscription: Rs 1,211.50 crore (max). The size of the issue is small when compared to NHAI’s last issue of Rs 10,000 crore. So, how is tax-saving different from tax-free? Though the two terms are used in relation to taxation matters, there exists a considerable difference between the two. Tax-saving implies that there are certain provisions in the Indian Income Tax Act that allows an individual to save tax by investment in some particular investment instruments (like ELSS mutual funds or Life insurance premium etc., under Section 80c) or when the taxpayer has incurred some expenses on which tax liability can be minimized to some extent (Example – HRA, LTA etc.,). Tax-free on the other hand implies income that is not taxable in the hands of investors i.e. the income from such tax-free source is not included in the total income for the purpose of computation of total tax liability. 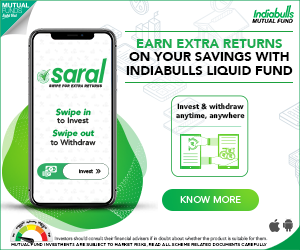 With no income tax being charged on the returns on the tax-free investment no other rebate in the form of tax deduction for the amount invested is provided. So, Tax free bonds are not eligible for deduction under section 80c. Should you subscribe to HUDCO Tax Free Bonds Jan 2016 Public Issue? Do you think one should invest in Tax free bonds? Have you invested in any of the TFB 2015-16 Public Issues? Kindly share your views and comments on HUDCO Tax Free Bonds March 2016 issue. Thank you for this review. 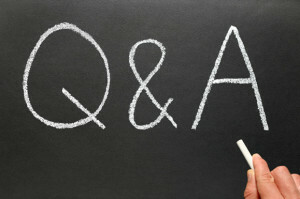 Are you give personel financial counselling.Please provide details for contact. Thanks. I have recently stopped providing one-to-one financial planning services. I am retired from service. My retirement benifits are expected this month. Please advise should I allocate 25% of my retirement benifits in tax free bonds. Kindly let me know your financial goal(s)/financial obligations? Have you planned/accumulated sufficient corpus to get periodic income to meet your living expenses? Do you have any other source(s) of income? Do you have adequate health cover and emergency fund? Thank you for sharing these details.